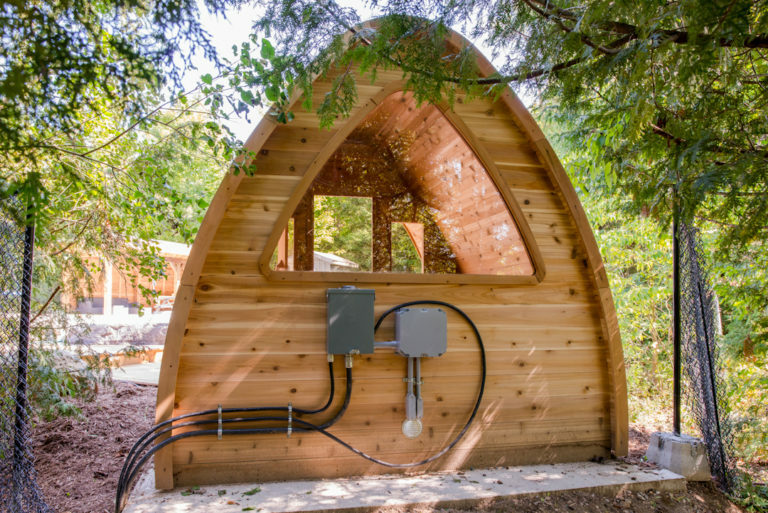 These organic rain-drop shaped outdoor saunas are the newest sensation to hit Canada. 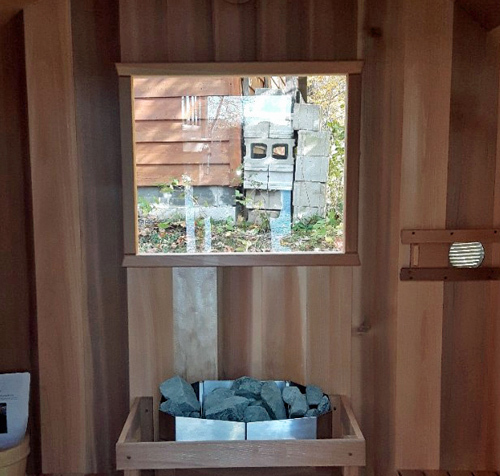 The extra head-space and wonderful design comes in various sizes and in Knotty Western Red Cedar with endless options so you can customize your own outdoor sauna. 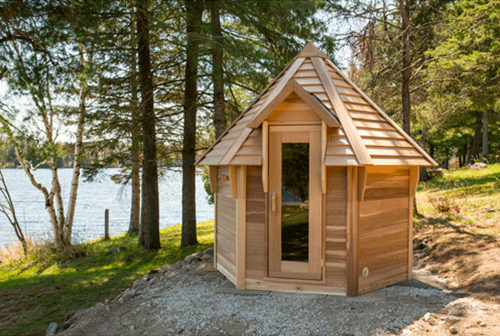 With your Outdoor POD Sauna you must either order bevel siding or cedar shingles to make the finished product water tight. You can order the kit without an extra roofing material but it is recommended that you install your own asphalt shingles or other roofing material on top yet. 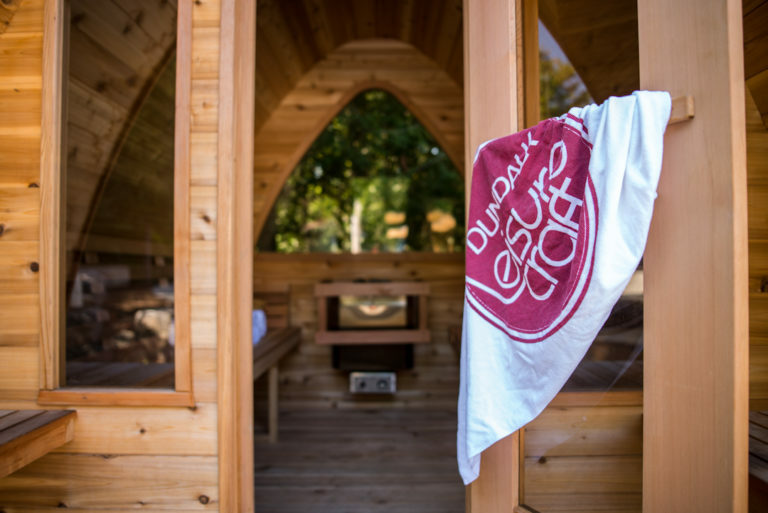 Our knotty grade western red cedar comes from special mills and it is graded to our demands specifically for our sauna packages. 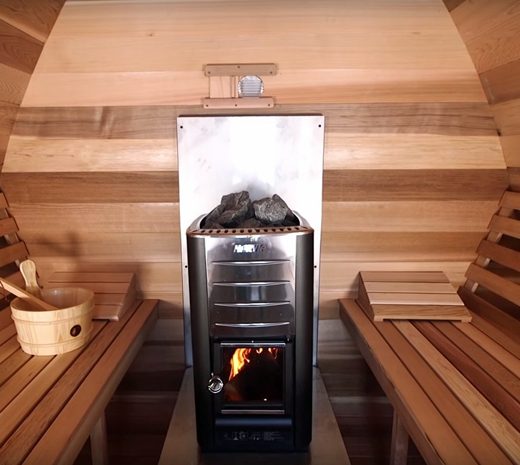 As seen in our assembly videos the POD Saunas feature a triple layer roof for additional insulation and water sealer. 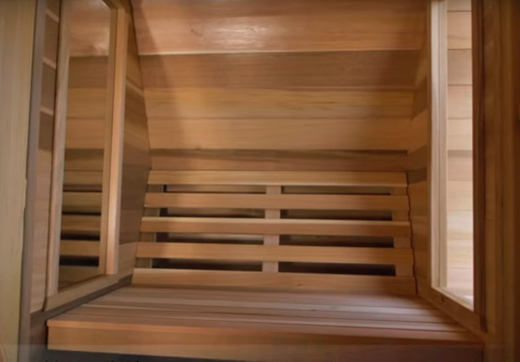 All Knotty Red Cedar POD Saunas come with our traditional clear cedar benches and backrests in the standard package. Harvia inside feed wood burning sauna heater with stainless shields and chimney. 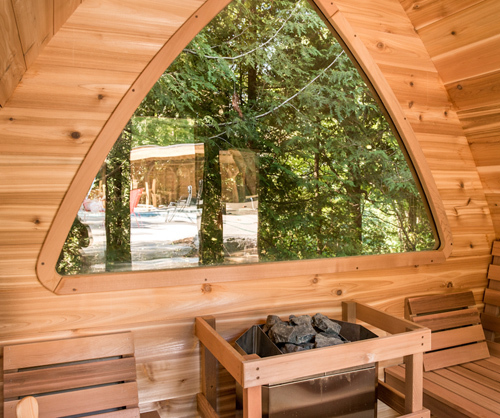 Lighten up your Knotty Cedar POD Sauna with this large window in the back wall. 20"x30" (50x76cm) Window in back wall only available with electric heaters. Optional cedar shingle roof comes in pre-assembled panels for quick installation. Bevel siding roof on the outside, available in clear and knotty cedar.